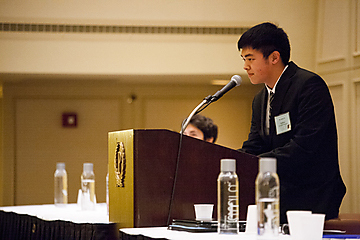 My name is Jein Park and I am the Chief of Staff for MUNUC 31. We are really excited that you are interested in joining MUNUC, and we look forward to seeing you at our recruitment events and meetings. Below you will find additional information about MUNUC, our first meetings, and our application. If you have any questions or would like to learn more about ways to get involved, please feel free to contact cos@munuc.org. Also feel free to sign up for our email list! 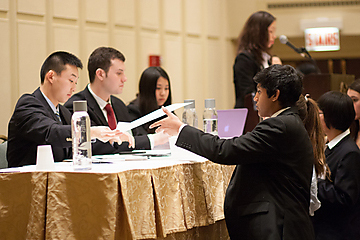 The application process for MUNUC 31 is available at bit.ly/joinmunuc. For all moderator applicants, this application is due by Tuessday, October 10th at 11:59 PM. For all other applicants, this application is due by Friday, October 12th at 11:59 PM. If you are applying to be a moderator, you must also sign up for a short, 10 minute interview. The sign-up sheet is located outside the MUNUC office in the basement of the Reynolds Club, Suite 002B. If you have any questions or concerns in the meantime, please email Jein Park at cos@munuc.org. 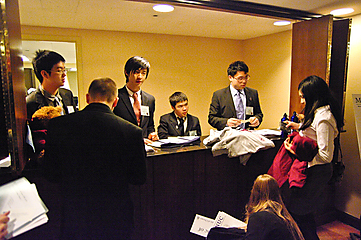 The Model United Nations of the University of Chicago (MUNUC) is an international affairs and education-centered RSO on campus. Now in our 30th year, we host an annual conference for 2,800 high-school delegates and 320 advisors at the Palmer House Hilton in downtown Chicago. To educate high school students in the arts of debate, negotiation, and public speaking by providing a forum in which they can hone their skills. To introduce high school students to the fascinating realities and complexities of international relations through simulation of international organizations. To demonstrate the potential of the United Nations in resolving international problems while demonstrating its limitations. 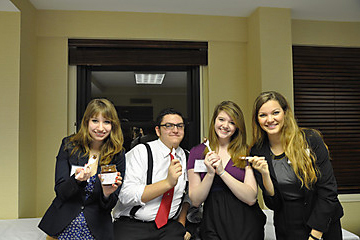 MUNUC comprises 200+ students of all majors. Absolutely no experience is required; many members had never even heard of Model UN before they got here! All the same though, students often discover that helping make conference happen, teaching delegates, and joining a close community are formative parts of their college career. Accessibility is important to us. Your commitment to MUNUC is for an hour a week through February, and the weekend of conference, which is February 1–4. If you want to be more involved as many choose to be, there are additional opportunities too. Your experience should also be cost-free: the cost of your involvement in conference and our auxiliary initiatives, local and international, are covered by the organization. MUNUC 30 will be our 30th annual conference in downtown Chicago. Each year, nearly 3,000 high school students and advisors descend on the Palmer House Hilton, in addition to our 200-plus members. For four days,the Palmer House becomes a center of international debate for these students, and within each of our committees they assemble coalitions, respond to crises, and draft resolutions. 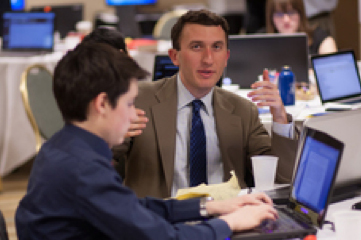 Each committee is led by UChicago students — you! Conference is a large, intricate operation that takes nearly a year to plan, and with roles available on the committee and business sides. Take a look at the Roles You Can Fill as a First Year section for more info! 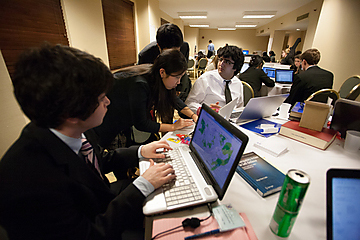 Chicago Hyde Park Model United Nations Conference (CHPMUNC) seeks to bring Model UN to students on the South Side of Chicago who might otherwise not have exposure to the activity. 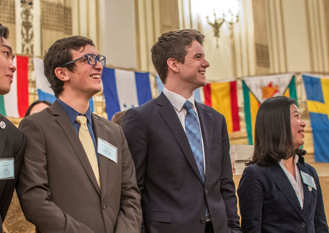 MUNUC members go to schools around Hyde Park and host after-school classes that help high-schoolers build confidence and skill in public speaking and research, and establish a foundational knowledge of world affairs. 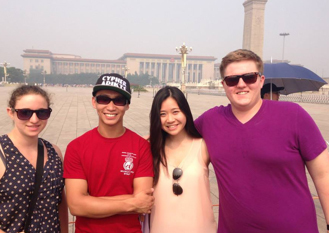 MUNUC sends around 20 students overseas in the summer on expenses-paid trips to run our programs in China, which include a conference in Beijing and a month-long teaching program in Chengdu. This is an exceptional opportunity to go abroad, foster deep bonds with your MUNUC friends, and work with students from vastly different backgrounds. MUNUC is just not a conference, but a community. People who work at conference together often become close friends, and those relationships grow to extend beyond MUNUC, too. We host a number of social events throughout the year for you to get to know members across the organization, including weekly study breaks, bubble-tea socials, and committee dinners, as well as a jam-packed social program during conference weekend. There are few places on campus where you can take on a leadership role on par with what MUNUC can offer. Whether you are an Assistant Chair helping students, a Chair overseeing hundreds of delegates, or a member of ExCom coordinating dozens of your peers, the ways for you to take on significant responsibility are unparalleled. You’ll grow as a leader through MUNUC in ways that you could never learn in the classroom. We seek a competition of ideas, not a competition of personalities. We take pride in creating a memorable experience for our delegates, and hope for them to leave our conference more confident, mature, and understanding of the world around them. And because we believe that cost shouldn’t be a barrier to education, MUNUC sets our fees lower than any of our peer conferences and offers substantial need-based financial aid. Whether it’s through the weekly trainings, our summer programs where you travel overseas with your peers, or a leadership role, you’ll be able to develop valuable personal and professional skills through this organization. And if you need to juggle a busy schedule, we are flexible on that too; you can be a full member of MUNUC and reap all of these benefits with a base commitment of just an hour a week. Prior to conference, admin team members primarily assist with preparing conference materials and managing outreach to press, vendors, and consulates. 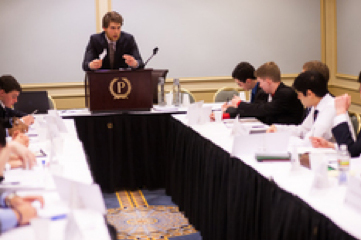 Admin members also receive extensive training on business communication and other professional skills necessary to represent MUNUC to advisors and delegates. Finally at conference, the admin team runs Delegate Services, the hub of MUNUC, where attendees come to register, buy merchandise, and report any and all crises. Assistant Chairs are an important part of all traditional committees, handling a wide range of responsibilities. Under direction of committee executives, ACs help engage students in the discussion and work with them on writing resolutions, facilitating negotiation between blocs, and answering questions. ACs function as the eyes and ears of the committee, and work closest with delegates directly. 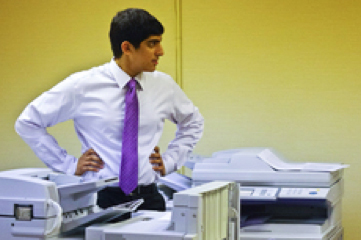 The info team provides behind-the-scenes direction to traditional-side committees. 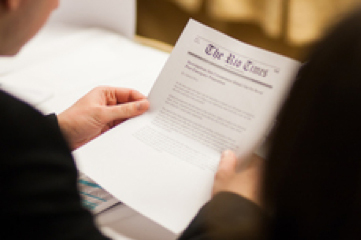 Info members steer debate and challenge delegates through by writing informational notes and crisis updates and delivering speeches in character as an expert, world leader, or revolutionary, or other persona. In addition, info members respond to specific questions addressed from delegates to their “home government,” typically relating to their country’s stance on a topic. In fast-paced continuous crisis committees, the role of an AC combines aspects of the traditional-side Assistant Chair and the Information Services member. Crisis ACs work under the direction of the Crisis Director, supplying the committee with a steady stream of updates and responding to queries and directives from individual delegates. Frequently, a crisis AC will also be present in the committee room to assist the Chair, monitor communication between the rest of the team and the Chair, and give expert speeches to delegates. The Moderator maintains order and supervises debate in a traditional committee. While the Chair is responsible for all substantive matters, the Moderator handles procedural issues and runs committee debate under the direction of the Chair. During conference, the Moderator will answer delegate questions, help direct debate, and encourage productive discussion of the topic. Section Editors for the Press Corps committee work closely with the Editor-in-Chief to design a mission statement, a publication schedule, and an online presence for the conference newspaper, The Phoenix. Each of the thirty high-school delegates will represent a real press publication. During conference, Section Editors are called upon to manage content for their particular section and help edit articles, and further, help delegates design a professional-looking newspaper. No prior journalistic or design experience is necessary. 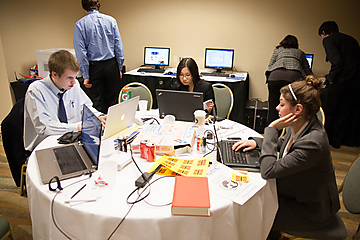 During the conference, MUNUC’s tech team maintains computer labs for delegates, Press Corps, crisis staff, and Information Services, and also assists with general networking and maintenance. Beforehand, tech members receive thorough, from-the-ground-up instruction on common programming languages and web and server technologies; past curricula have included SQL and Python. Chairs run our committees. Each committee has a Chair who oversees all matters both substantive and procedural, and who coordinates each committee staff. They are also the primary authors of the Background Guide, the document that delegates use to learn about the issue to be debated. They work with Assistant Chairs, Moderators, and Info Staff to make sure they provide a rewarding committee experience for the delegates. Chairs are organized into USG-Groups, and will work with an Under-Secretary-General throughout the year to craft their vision. particularly through CHPMUNC, our Model UN preparation program for Chicago Public School students on the South Side. Crisis Directors are the “behind the scenes” leaders of committees with crisis elements. They work with a committee Chair to lead the delegates through the weekend. A Crisis Director oversees notes, writes the “storyline” or “crisis arc” for a crisis committee, and leads the Crisis Staff assigned to them. Often taking joy in throwing delegates into situations they didn’t expect—think assassinations and wars—Crisis Directors are fast thinking and creative. The Editor-in-Chief is the leader of the conference newspaper, The Phoenix. He or she works with Section Editors (who are MUNUC Staffers) to publish editions of the newspaper, which is written by delegates. The Editor-in-Chief has one of the most tiring jobs at conference, being up early and staying up late to get out the newspaper.